The current market in Utah County is much like the rest of the nation: lots of buyers and not enough homes for sale. That is a major factor driving prices up. 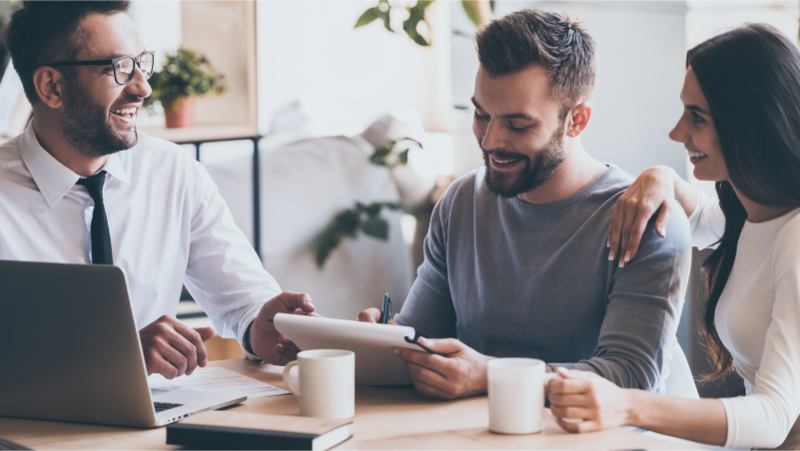 Most potential buyers are working with Realtors, so here’s a few tips on how to become a great client and get the most from your agent. 1. Have a preapproval letter or proof of funds before shopping for a home. Potential buyers often start the process by searching for a home online, calling agents and generally starting to research the market, skipping this first important step. If you haven’t, a good agent will likely put you before a loan officer and get that process started before showing you too many homes, or get a proof of funds letter from the buyer’s financial institution if paying cash. Potential buyers need a preapproval letter in advance so they and the agent know how much home they can really buy. 2. Willing to meet with an agent to discuss all your wants and needs for your next home. Ideally, agents prefer meeting clients at their office before showing them homes, but the dynamics of the market and the expectations of the buyers often prevent that from happening. Instead, their first meeting is usually in front of a house the buyer wants to see. However, meeting first at the agent’s office is ideal. 3. Have signed a buyer agency agreement. This should occur at the buyer consultation meeting, unless the buyer is still searching for the right agent. With this state-approved agreement buyers commit to work with an agent exclusively, which is what the state legislature intended when it enacted buyer agency back in 1994. The Division of Real Estate requires agents to have this contract with the buyer before they show them homes. That rarely happens. Most agents usually write that contract when they write the purchase offer. Until then, potential buyers may not want to commit to a single agent right away. So agents need to prove their worth to get it signed sooner, rather than later. They need to show the buyer what they will do for them that’s better than the competition; in short, they need to earn their trust. That’s an important element in the buyer consultation meeting. This contract creates a fiduciary situation between agent and buyer, which puts the buyer’s needs ahead of the agent’s. It requires real estate agents to give loyalty, confidentiality, obedience, full disclosure and reasonable care to their client. Without it, neither has a legal obligation to the other. 4. Willingness to write an offer and not just look. The current market is tough on buyers and some simply give up. I understand that most people don’t want to settle on just any house, but in today’s hot market that’s not a bad move. With so few homes available it could be wise to at least get in the market, catch the equity that’s going up right now, so you can buy something better later. A lot of buyers get that, which is why we have so many multiple offers. The home you buy now could very well put you in a position to buy better next time. 5. Have all decision makers at showings. Millennials are notorious at missing this one. They want to be on their own and make all their decisions themselves. But invariably, Mom and Dad will step in and interrupt the process. Or one spouse will do the looking alone, fall in love with a home, and then have the other half see it. And sometimes be disappointed, while wasting time. In this market time is at a premium. So the best course of action is to have all the decision-makers at all the showings all the time. This even happens with the elderly looking for their retirement home. If the kids are involved in the decision, they need to go to the showings with them. 6. Understand the market and the need to move quickly. I’ve had folks want to schedule appointments days or even a week away to see homes. Even though I’ve counseled them not to wait that long or they may lose it, they persist. Sure enough, the home is taken before they can see it. Sellers don’t wait. Other buyers don’t wait. In this market you need to have your preapproval letter in hand and be ready to jump as soon as the home you want hits the market. 7. Willing to work as a partner with your agent and have a clear and present need that can be met. Realtors grit their teeth when they get a call like this: “I want a four-bedroom home, with three full baths on a half acre in American Fork no older than 2008 with large rooms, granite counters and a three-car garage. And I want it for $250,000.” It happens. That’s a clear and present need, but nothing like that exists … at least not along the Wasatch Front. That goes along with knowing your market. It also takes us back to rule No. 1: get a preapproval letter and then know what you can afford and what that will buy. Trust your Realtor to help you with that and all the steps along the way until they hand you the keys to your new home.